And yeah, I just made up a word. So, whatever. Prep time: 10 min. Cook time: 1 hr. 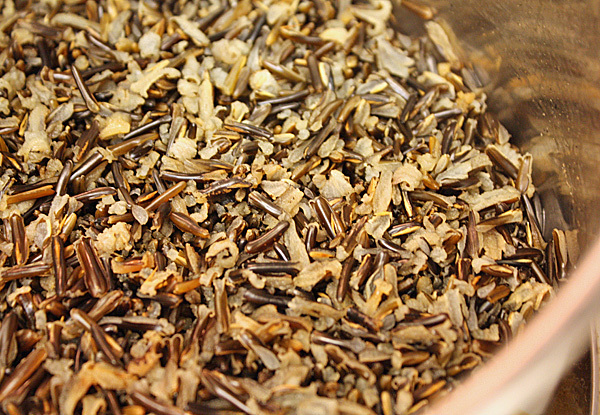 Boil 1 cup of water and add 1/2 cup of wild rice. Reduce heat to low and cook for approximately 45 minutes, or until water has been absorbed and rice looks as it does above. 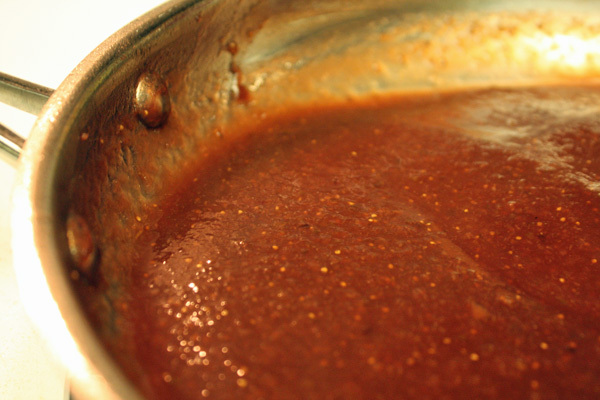 While the rice is cooking, combine 1 cup of port wine with 1/4 cup of balsamic fig reduction (from Week 2, Meal 2). 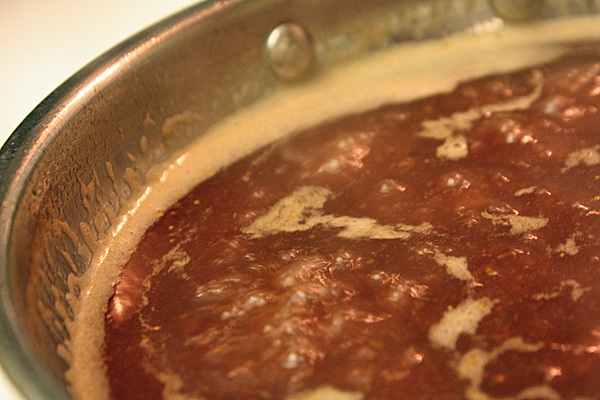 Cook at a light boil until the sauce reduces to a thick, syrup-y consistency, between 20 and 30 minutes. This would also be a good time to preheat your grill to medium-high for the meat and veggies. While the grill is heating, coat about 10 asparagus spears with 1 t of olive oil and salt and pepper, to taste. Lightly oil, salt and pepper your pork chops at this point as well. 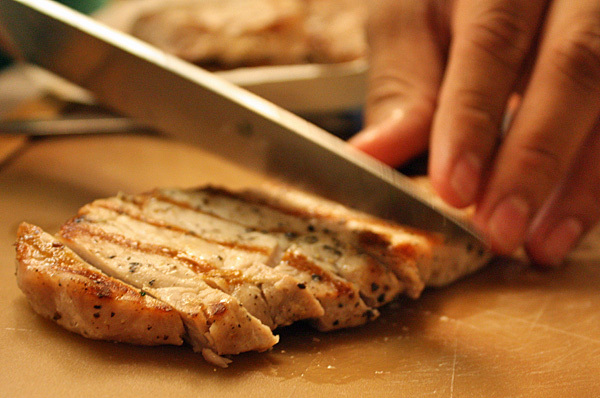 Cook the pork about 5 minutes per side. 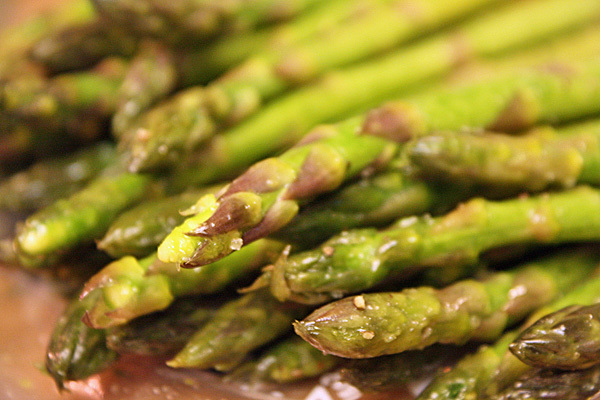 For the asparagus, grill the spears until they have a slight char, like in the picture at top, about 5-7 minutes. Allow the pork to rest for about 5 minutes. 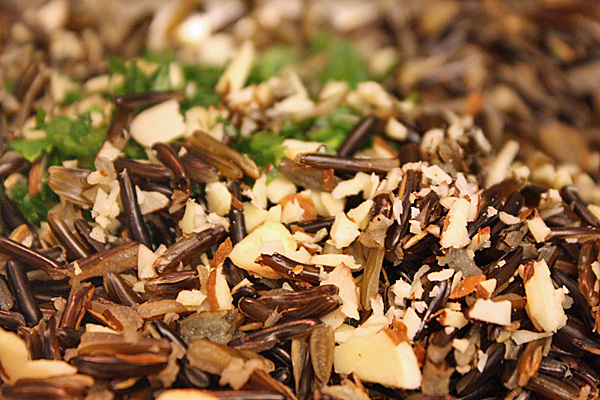 While the meat is resting, add 2 T chopped almonds and 1 T of chopped parsley to the wild rice. 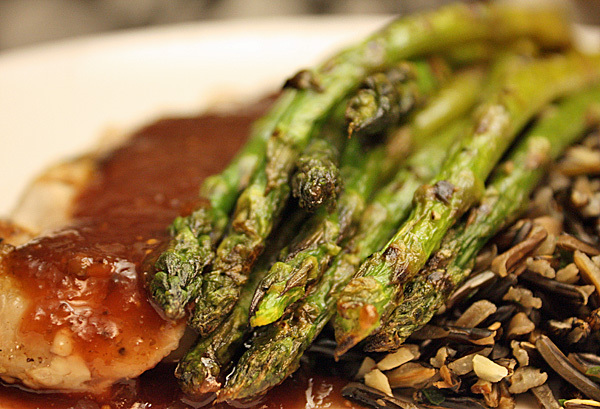 To plate: Cut pork into slices and plate with 3/4 cup of wild rice, 5 or so pieces of asparagus and 2-3 T of reduction. 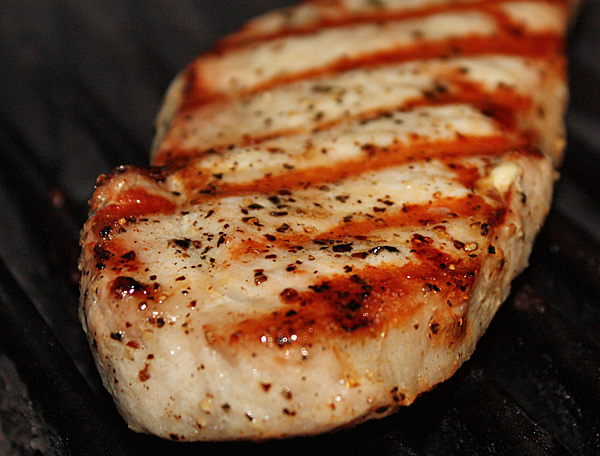 You’ll find the reduction to be the star of this show as it enhances the flavor of the meat. The wild rice was simpler than the one we made in Week 1, but even with just a little almond and parsley, this is a solid side. This was the healthiest-tasting meal of Week 2, and a really easy one to put together overall. You see that pork chop on the barbecue? That’s what was circling around my head all night in my dreams. Great meal Niyaz! Question….. it looked like you did not peel the figs for the jam… correct? Jan: 1) You’re right. I did not peel the figs. Just cut ’em up, cooked ’em down and pureed them. Also, for the rest of the week … I cook recipes out of a book called “Cook This, Not That.” Really great resource for healthy eating. Or I just eat other healthy things: squash blossom quesadillas, fruit, veggies, or meats from the grill. Maybe it’s not the purpose of this blog, but you should write up reviews of the places you go eat on your cheat days…that would be pretty sweet. How was Bruxie by the way? CJ: That is the intention, but I ended up not really doing much on my free days so far. I did just sign on to write South Orange County restaurant reviews for AOL Patch, so maybe I’ll link to those or something. I’ll try to get better about this, but I’m unsure. Restaurant food hasn’t been very nice to me as of late, but it hasn’t been the best food either. And … still haven’t been to Bruxie. I’m dying to go though.